As you all know, ShopBop's annual tiered sale is here! You can take 15-25% off your order depending on your total spend! 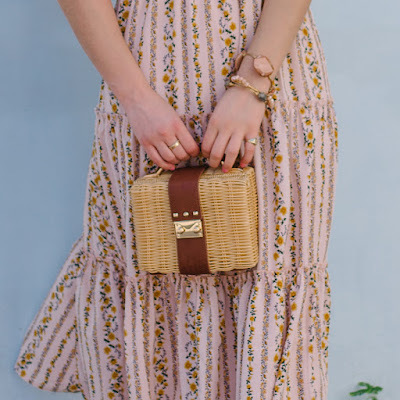 This is one of those times where I think it's best to stock up on pieces for the upcoming spring/summer season that you'll otherwise pay full-price for because you want to wear the pieces soon. 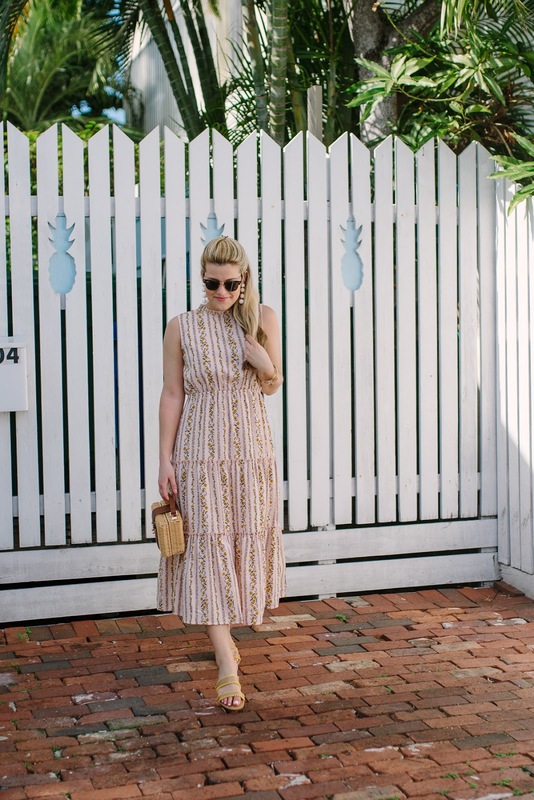 Or, this is the time to stock up wardrobe staples like cashmere and neutral flats! Scroll through the widget at the top of the post to see my picks from the sale. It is SO hard to shop this sale becuase there are about a million (ok maybe I am exaggerating) items on Shopbop. 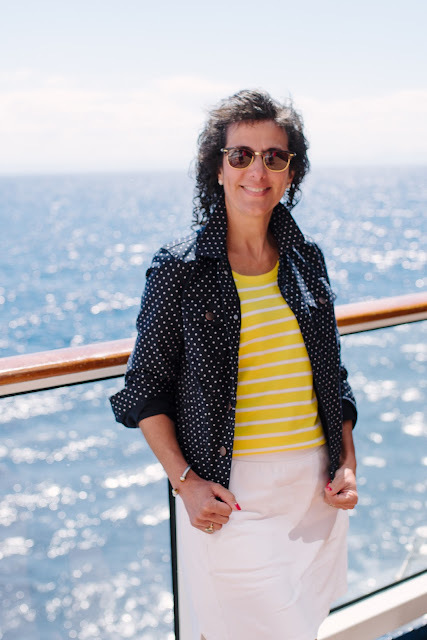 But I chose classic, quality pieces like this navy and white striped sweater, these white sneakers for spring, timeless blue and white pajamas, and my go-to travel wrap. I'm so excited to share these outfits today! 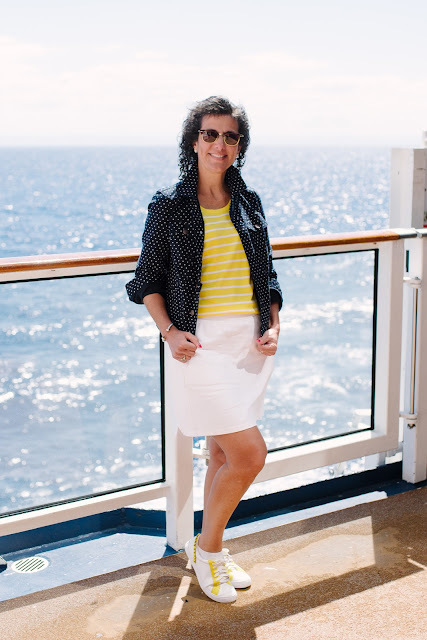 Thanks to Talbots for letting us choose some pieces from their spring line to wear on our trip! 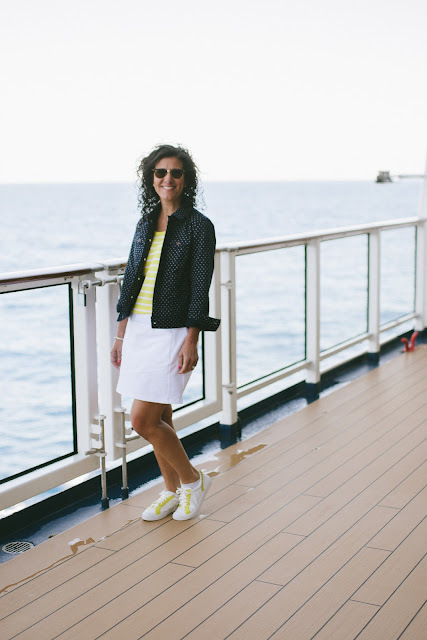 My mom and I wore these outfits on the first day of the trip... they were great to wear from the airport to the ship. We were put-together but still very comfortable for a morning of travel. I cannot tell you enough about how much I love every single piece I am wearing. The scalloped tee takes your basic tee and kicks it up a notch. The neckline is so flattering and ladylike. 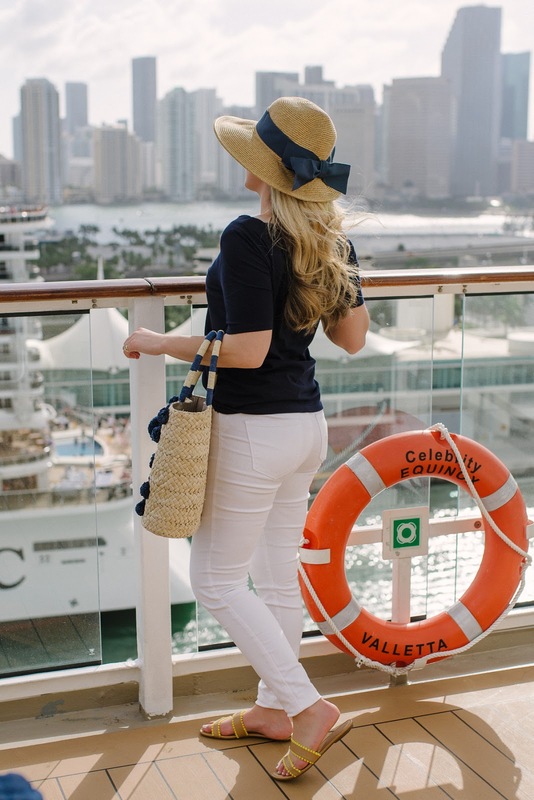 I was so excited about these white jeans becuase their regular wash denim is one of my all-time favorite jeans. These did not disappoint. They have a super high waist, they are very opaque, they're super stretchy and very comfortable. I'd say they run a bit big. I am wearing a size 2 for reference. And can we talk about the hat? I seriously felt sooooo chic in this packable hat. I wouldn't really consider myself a hat person, but this had 'packable' in the name so I figured why not! It rolled up into my suitcase with no issue at all. When I pulled it out it looked as good as new. Not to mention, the wide brim is so elegant. And I'm so excited for my mom's outfit becuase I love the pops of yellow. While my mom and I have similar taste, it's not always the same. 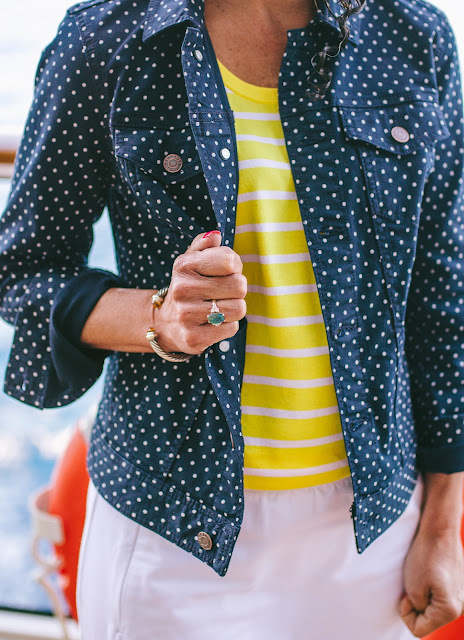 I wouldn't have thought to pair the striped tank with the polka dotted jacket but it just looks so cute! The shoes remind me a bit of Tory Burch but for less and the yellow is so bright and cheery! The entire trip, everyone was asking if we were friends or sisters. I think they were confused about us being sisters becuase we don't really look alike (I look like my dad, my sister like my mom) and people would be shocked when we said we were mother-daughter! If you haven't taken a mother-daughter trip as a post-grad, I highly encourage you to do it! Having one-on-one time with my mom was the highlight of my week. It was so much fun to be together and try new experiences together. It's something I will remember forever. It's no secret, I love a good pair of designer shoes. However, the prices can be outrageous, I know! 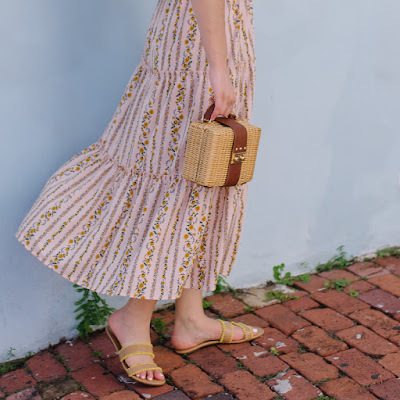 I get asked a lot for similar shoe options so today I'm sharing 3 really good looks-for-less (hint: and they're way, way less). All three pairs on the left, I own, and while I love them, I think the 3 pairs on the right are pretty darn similar, don't you? 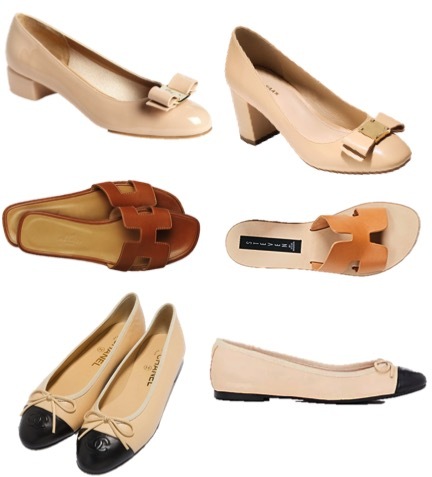 They're all classics, neutral, and comfortable... no high heels here! And they are also (all three pairs) some of the most worn pairs of shoes in my closet! If you're looking to get the real deal, though, and don't want to spend a huge chunk of change, I would definitely suggest checking The Real Real and eBay. You can find all three pairs: the Ferragamo vara, Hermes oran, and Chanel ballerines and they're usually deeply discounted. 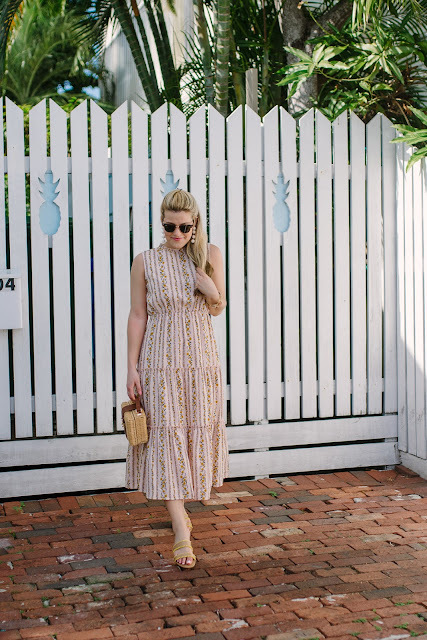 I've purchased designer items from both websites before and I always have success! 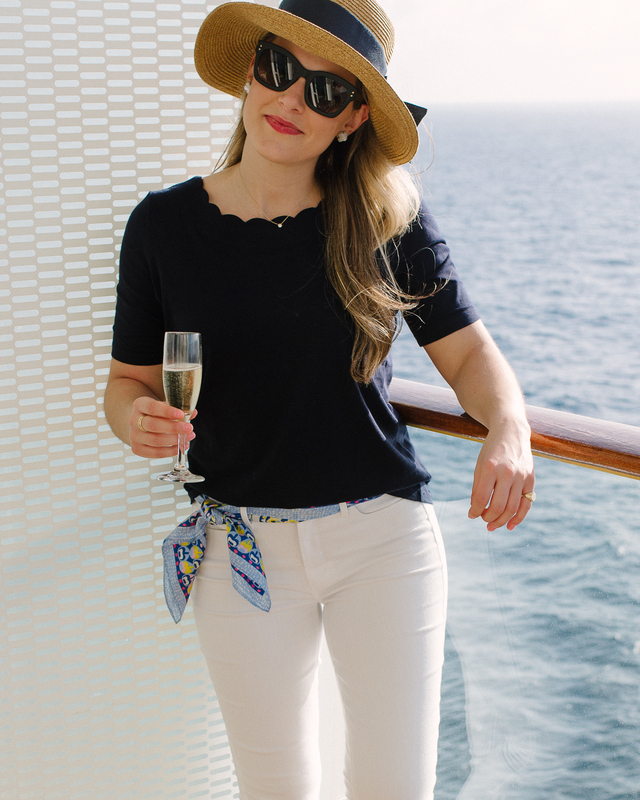 As most of you know from social media, last weekend I got back from a cruise with my mom on Celebrity's Equinox. I honestly wish I was still aboard becuase it was so. much. fun! 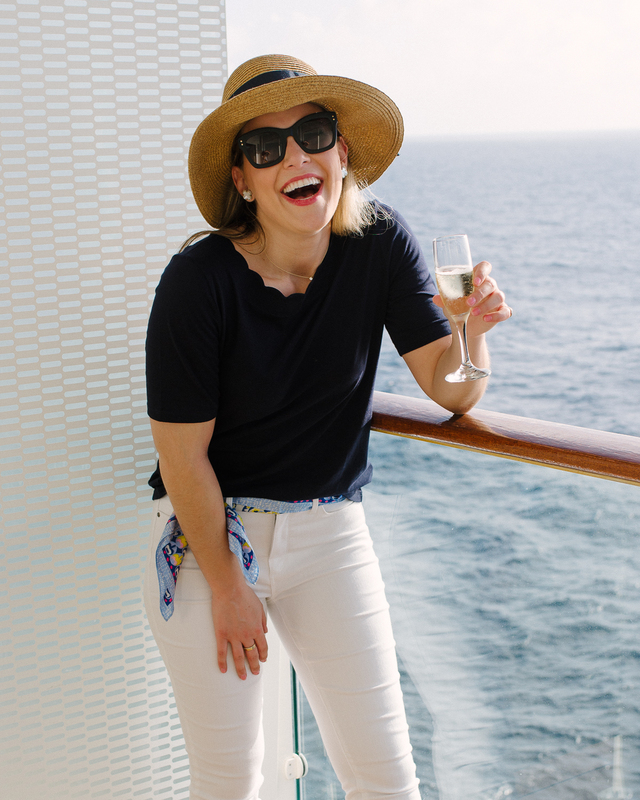 Many of you had e-mailed/DM'd me asking which cruise we were on and what I thought about it, so I am going to share all of the details in this post. I also could not get over how many of you commented and DM'd me on Instagram saying how happy I looked and how wonderful our trip looked. Traveling with my mom is so special, but the trip itself was one to remember for a lifetime! I've been on my fair share of cruises before so I know the whole 'the food is bad' and 'it's all elderly people' rumors are simply not true. 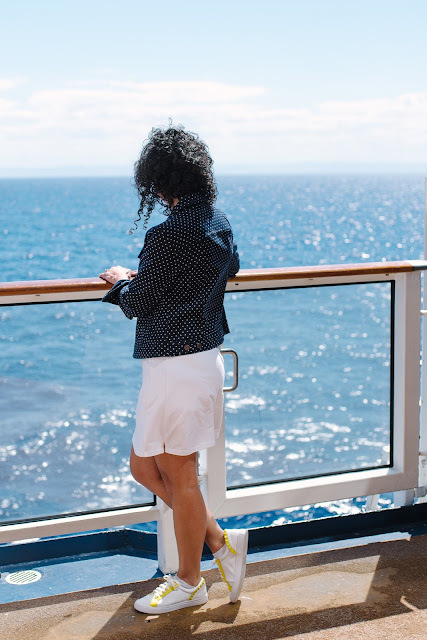 But if you've never been on a cruise (or think you are 'just not a cruise person'), I totally urge you to try one for your next vacation. I think you'll all be thanking me when you get back :) Let me tell you, you're going to want to book with Celebrity becuase it far exceeded our expectations. 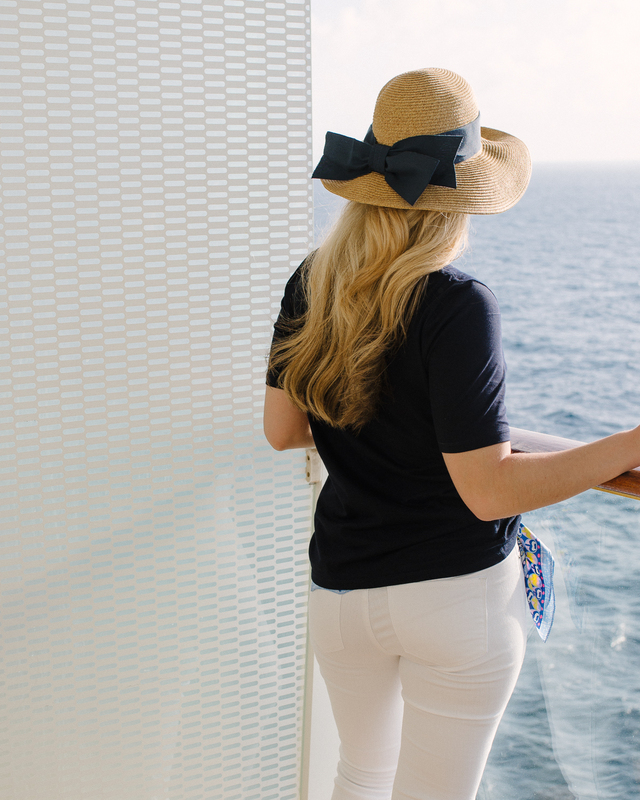 What cruise were you on? 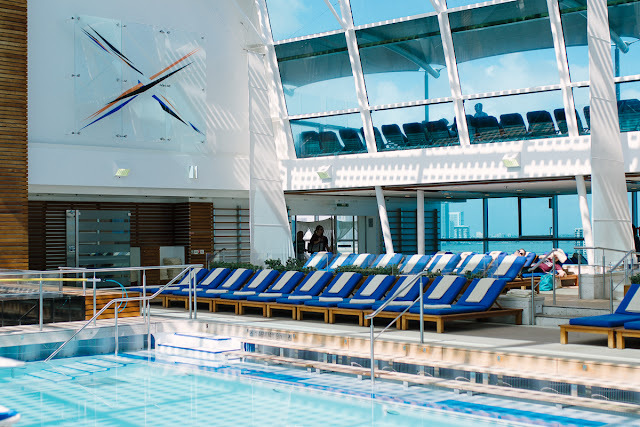 The Celebrity Equinox 7-night Western Caribbean Cruise. Miami, Key West, Sea Day, Costa Maya, Cozumel, Grand Cayman, Sea Day. What is the Celebrity brand like? I have so much to say about the Celebrity brand first, and then I'll get into the ship itself. Celebrity's CEO is Lisa Lutoff- Perlo and while you may not know the name off the top of your head, she is the first and only female CEO of a publicly traded cruise line on the New York Stock Exchange. One of the things she is known for is that she hired the first American female captain of a cruise ship and I find that to be very cool. One night, my mom and I had made friends with a woman and as we chatted, the woman was speaking about how inspirational Lisa is... there are like, a lot of employees on each ship and Lisa remembers people's names and gets to know them. I find that incredible becuase I have a hard time remembering anyone's name. 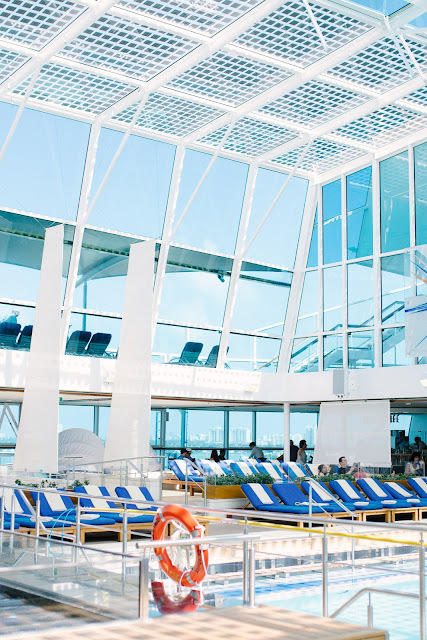 Celebrity is part of the Royal Caribbean brand and is considered a 'premium' cruise line. I actually wasn't sure what that meant, but now that I've been on one- it's like a floating Ritz Carlton! High end and luxurious! No two ships are created equal. Even within brands of cruises, all of the ships are different! 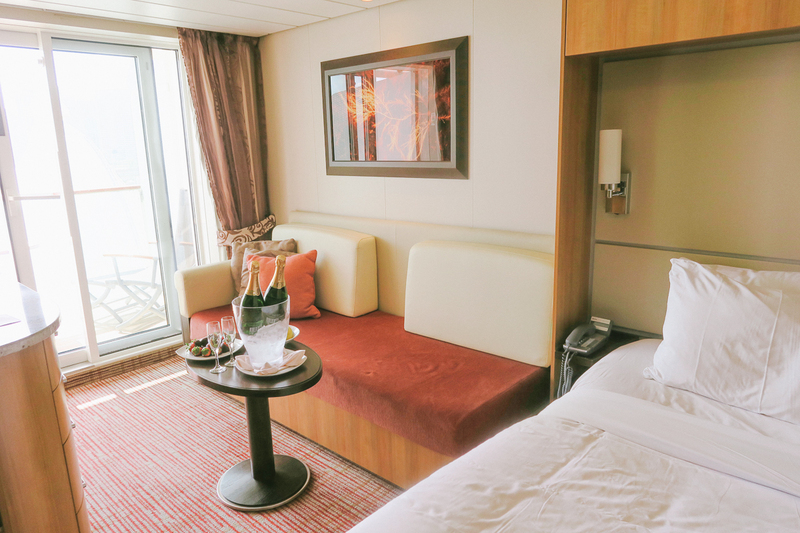 This was probably the nicest ship I've been on. 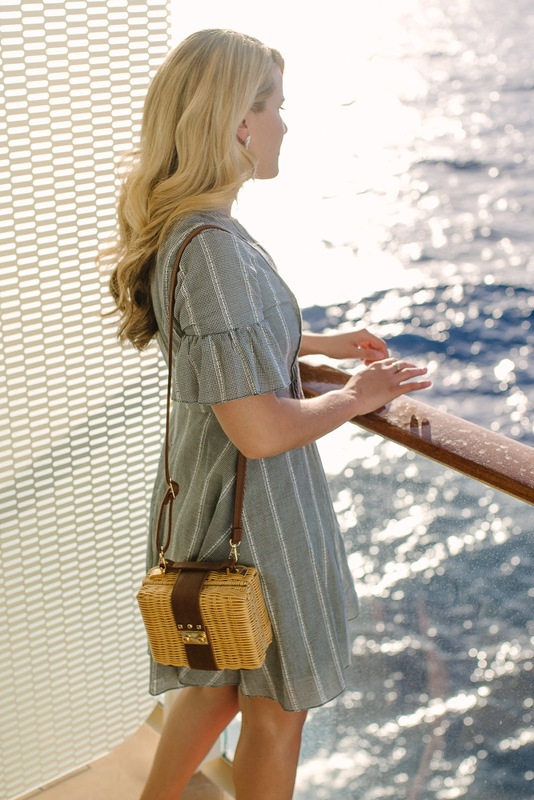 Not only was everything clean and well-maintained, but everything was beautiful (interior and exterior) even down to the fixtures (the showers in the staterooms had Grohe spa shower heads... it's the little things). Even the 'public' restrooms throughout the ship were that of something in Neiman Marcus! 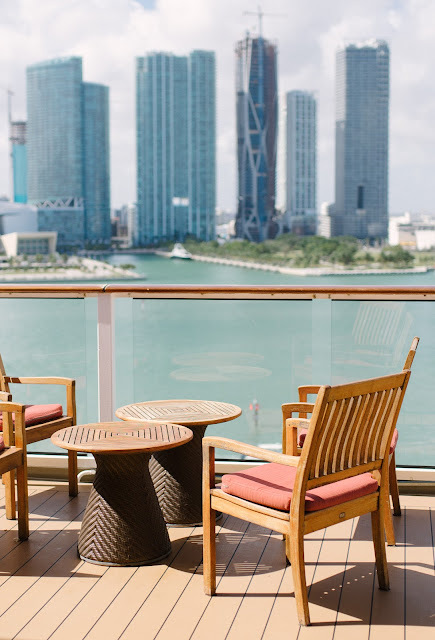 80% of the rooms on the entire ship have verandas! If you aren't familiar, on a cruise, you can also have the option of booking an interior room (no windows) or a room with windows. It's nice that most of Equinox's rooms have verandas! They are SO much fun becuase you can be in the middle of the ocean and enjoy coffee or a good book, in peace and right outside your room! It actually amazes me. The ship itself is MASSIVE. So you never get bored, and you never feel like it is crowded or cramped with people. I was able to easily walk around the ship and get some great shots sans people because there is just so much to do and see, that no one area gets crowded. 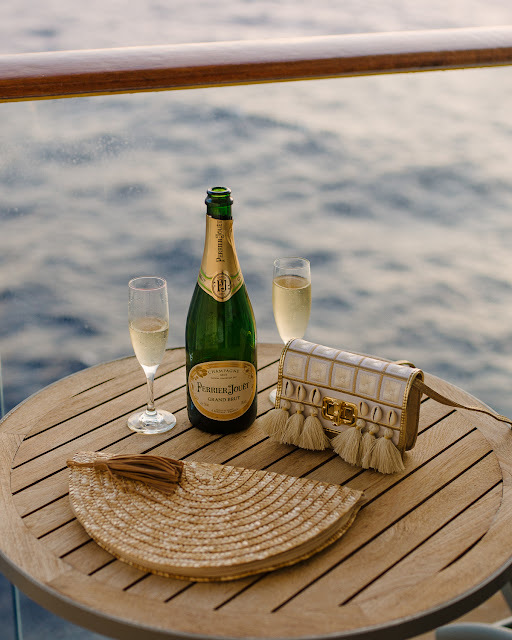 There was major high-end shopping on board. 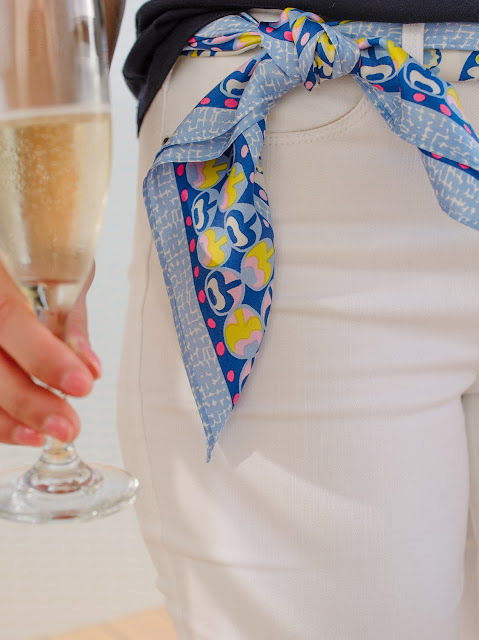 From fine jewelry (I was dying over all of the incredible watches) to a Chanel and Dior counter, to a fine art gallery, and even a section of Vineyard Vines! 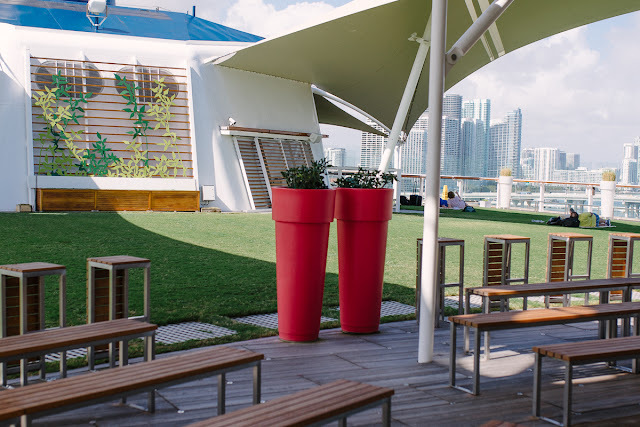 There was over an acre of grass (a literal lawn) on the top deck. You could play croquet or just set up a towel and sunbathe. It was the craziest thing to be in the middle of the ocean while walking across a lawn. There was a beautiful fitness center that had every machine or equipment you could imagine which was right off of the spa. We LOVED the productions. We saw the Four Seasons/Frankie Valli themed show one night and we truly could not get over the incredible talent! You may have seen me share some of the performance on my Instastories, but they sang one of my favorites. We sang along to all of the songs and it just put us in the best mood before dinner! They also had a casino, but my mom and I don't really gamble, but if it's your thing, it looked really nice! 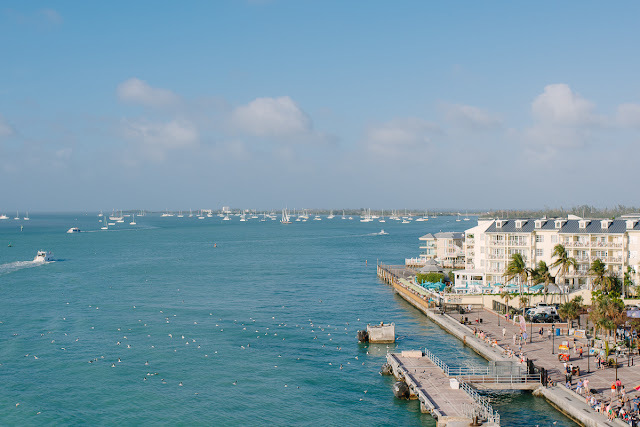 I had never been to any of the ports (minus Miami and Key West) before (never even to Mexico), so it was fun for all of these to be 'firsts'. But, I have to say that I loved Grand Cayman so much. Everywhere we went, the water was SO clear and so blue... but Grand Cayman was just beautiful with their wildlife and the beautiful, high-end stores, stunning, waters, delicious food, and so much more. Did you do any excursions? Yes! We did the catamaran cruise and snorkel in Costa Maya. We went out in the ocean on a catamaran and got to snorkel through a coral reef! My mom and I love to snorkel so this was right up our alley! We had so much fun and the amazing staff made it even better. Did you go to the spa? Yes! The spa is by Canyon Ranch (which is known for luxury spa vacations) so I was thrilled to try out the Tangle Me Up treatment. It's a wrap, which I've never had before, but now that I have, it will be my go-to treatment. I found it to be more relaxing than a massage! Basically, they massage your entire body with a seaweed scrub, then they wrap your body in layers of cloth... kind of like a mummy but not claustrophobic at all! After you let it soak in for a while, you wash it off and they massage in an oil/lotion. It was so incredible. There were so many services to choose from... even if you just wanted something simple like a manicure, there is something for everyone. Spacious! Which you know is saying something when on a boat! Plenty of closet/drawer space (and my mom and I brought a lot of clothes and accessories, hah!!). Large bathroom and shower. Lots of storage and even counter space in the bathroom! We had a couch, a vanity area, and a large TV. The rooms were pretty, modern, and very clean and well-kept. Our veranda was spacious where we had a table and two lounge chairs! 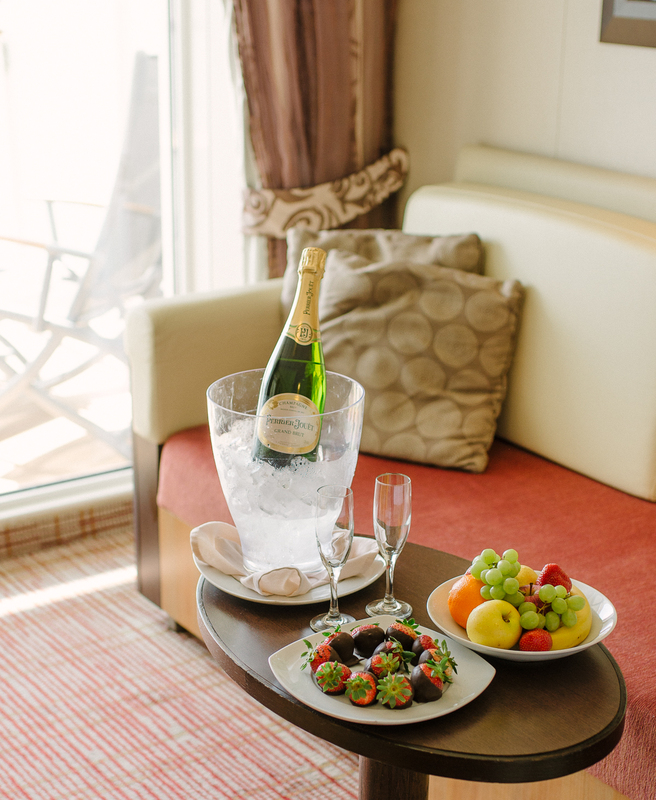 We often sat out there to enjoy coffee in the morning, a good book in the afternoon, and a glass of champagne at sunset! 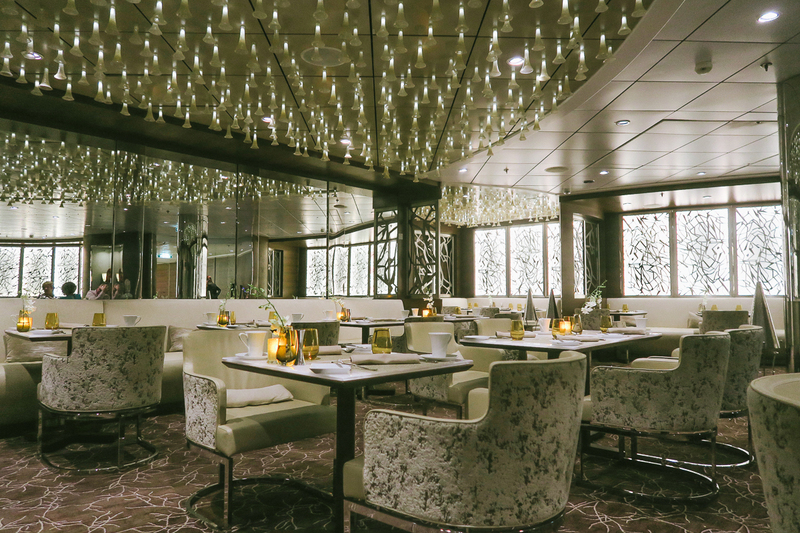 The level of food on this cruise was that of 5-star restaurants on land. The photos you see above are just some of the meals that we had while on board. 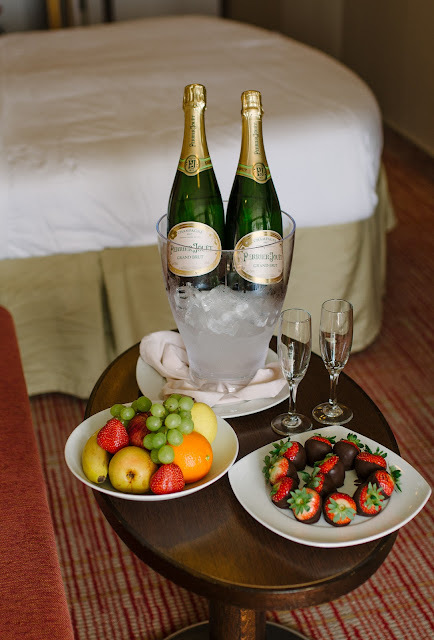 We absolutely could not get over the selection and freshness of everything we were ever presented with. 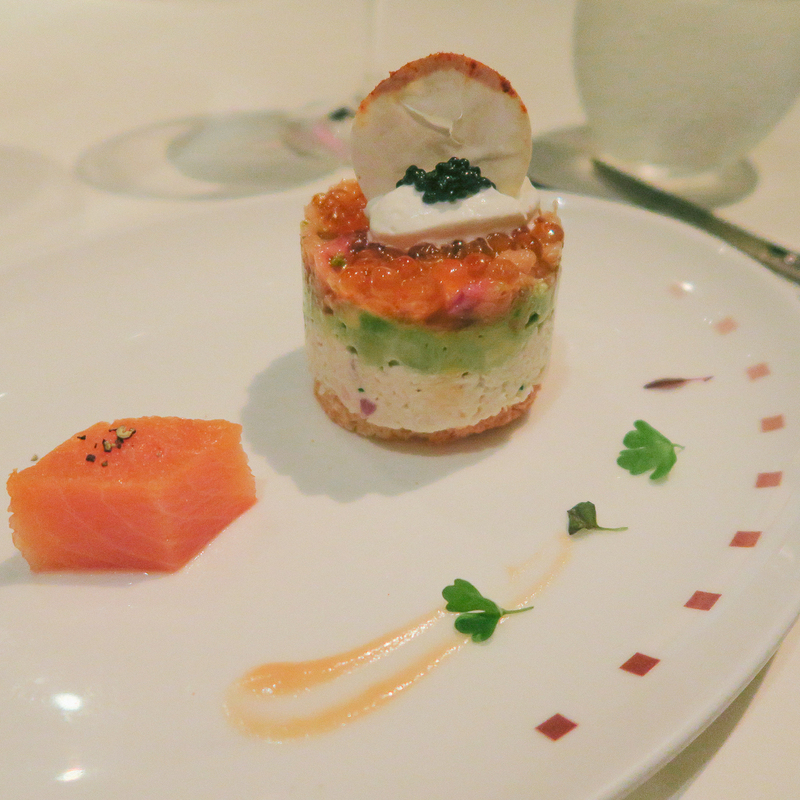 Even the presentation of the food was something to look at! Each night we would order so many things becuase we couldn't decide and every single thing we ate was delicious. My mom and I also could not get over how delicious the vegetarian dishes were, too. I think sometimes vegetarian dishes can be bland or boring, but we would order a vegetarian dish each night becuase they were incredible. Everything was so full of flavor. One of my favorite things about the selection of food is that you could get your standard filet, but you could also get dishes that were exotic with pairings that you'd never imagine! As for variety, there eleven total places to eat (that's more restaurants than there are days on this cruise). There are 5 specialty restaurants and 6 non-specialty. 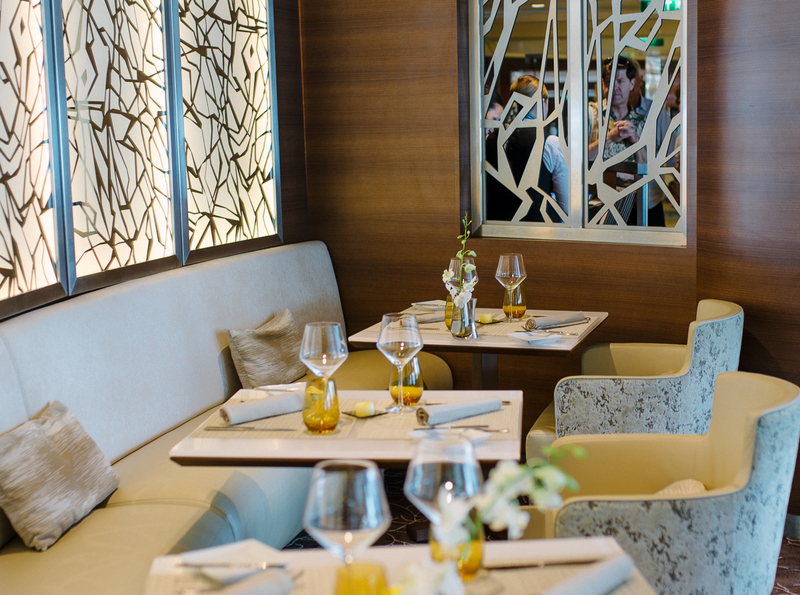 We went to one specialty restaurant, Murano, which had a French flair. My mom and I agreed it was one of the best meals we have ever had. They cooked my mom's lobster right in front of us and I had chateaubriand that was cooked to perfection. One thing I loved and noticed was different from any other cruise that I have been on is that they also had outdoor seating (for dining). 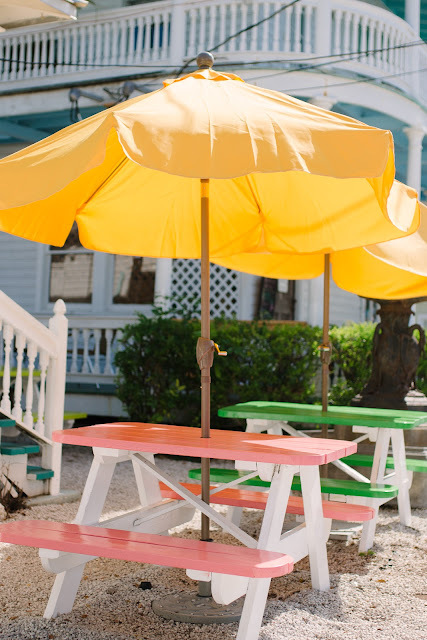 We would go up to the Oceanview cafe for breakfast and fill our plates with beautiful fresh fruit, grab some coffee and sit out on the deck enjoying the warm morning sun! Was there a good selection of wine/beer/cocktails? The drinks were amazing... my mom and I drank a lot of champagne on this trip. It's our favorite. But you know what? They had so many phenomenal choices... all my favorites! They had vast wine selections and all of the gins that make my heart sing. It was so amazing that they really did have everything we could want (inlcuding endless supplies of sparkling water). Also of note: they made a great extra dirty Hendrick's martini and had wonderful, plentiful coffee. These are always two things I judge wherever I go. I loved that coffee was so easy to find, so readily available, and delicious! Besides the fact that we had an overall wonderful time, the staff was far and beyond anything we have ever experienced. They all knew us by name. They treated us as if we were special and were genuine and kind. They really anticipated our every need and always went above and beyond. We made friends with our waiter, Serkan, at Luminae. He waited on us each night and he made every single night memorable. He was from Turkey and told us of his travels and a bit about his life. 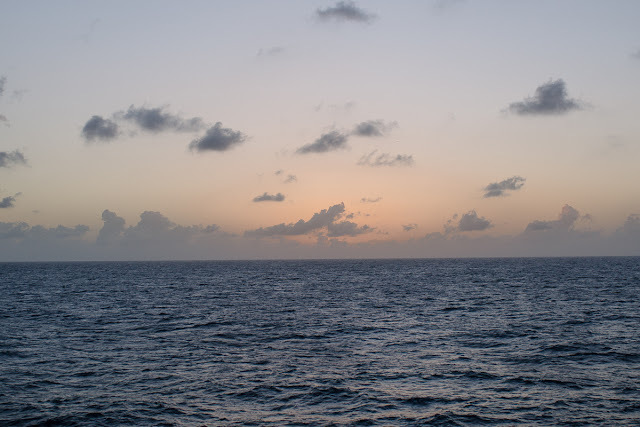 We were truly sad to leave the cruise because of all the staff who were so hardworking. It was inspiring. It was also wonderful to see that so many of the employees have been working for Celebrity for 10+ years. They all spoke so highly of the company and it was so clear that they truly enjoyed what they were doing. 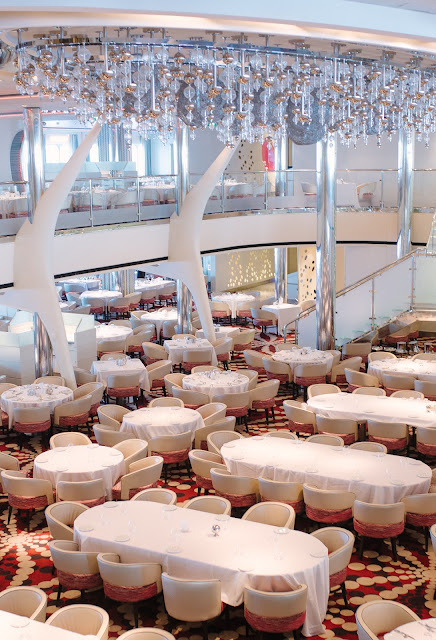 My second favorite thing about the cruise was Michael's Club. 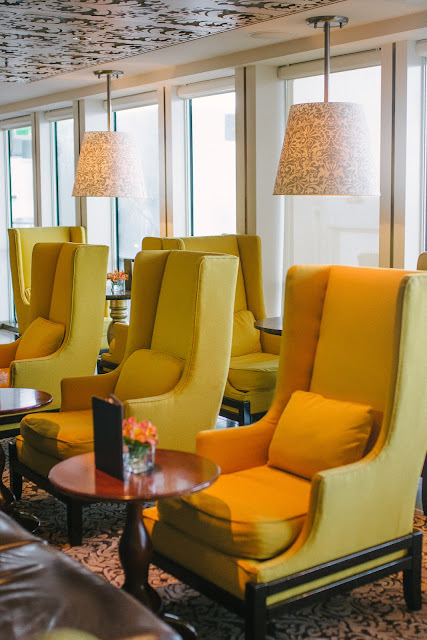 This is a member's only area of the club that you can get if you are in a suite. It reminded me a lot of my country club at home with the dark wood-paneled walls and plush decor. Some nights, there was a pianist, and always the cutest and most delicious canapes. The waiter was the same every day, his name Joey and every time we came, he knew us by name and what we were drinking! We would stop into Michael's club every night before dinner. It was such a beautiful space to relax and enjoy a cocktail or two! Overall, both my mom and I felt very relaxed, carefree, and well taken care of. We enjoyed every second and it was a trip we will both be reliving for years to come. I can speak for both my mom and me that we would wholeheartedly recommend sailing with Celebrity! A big thank you to Celebrity for hosting me. As always, all opinions are my own! So today's date is 2/22/18... which made me think, how weird it will be in 2022 when it's written out like 2/22/22... that's a lot of 2's, ha! This week has been as great as a post-vacation week can get. I took the day on Monday to totally 'reset'. I grocery shopped, cleaned, did laundry, unpacked, and got organized. I also edited all my photos from my trip. I was very productive! The rest of the week I played catch up on e-mails, DM's and worked on organizing my trip content for all of you. I also previewed the Paris video my sister made for me. I sent her all of my footage and she edited it all into a cute video. I love making videos from my trips. It's such a great way to preserve memories. I'll be sharing that sometime next week. I took a bunch of videos this trip, too so my sister will be making another video for me! Can't wait to share! Wearing: I wore this dress on my trip last week and I just love it! 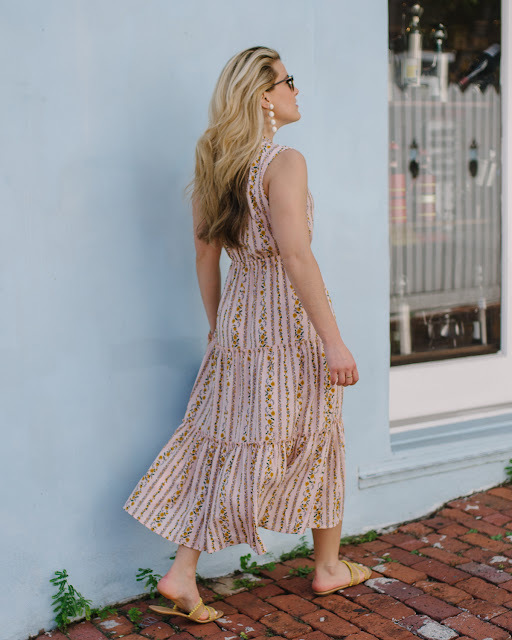 It is one of those really good versatile dresses that you could wear to work, to a baby or bridal shower, and even on a Caribbean vacation. Eating: I got this raspberry wasabi mustard at Fresh Market the other day and have been using it non stop! I guess the flavor sounds kind of odd, but it's sweet and spicy and all around a solid dipping sauce. I also marinated chicken breasts with it and then baked them and they were SO good. Drinking: I told you guys about the passion fruit flavor of La Croix and I'm not kidding you, I'm going through like 1-2 per day. The obsession is real. Go get yourself some! Reading: I talked about Jojo Moye's newest book a few Lately's ago, but I had only been about 100 pages in. I finished it and it is really good! A nice, easy read... perfect for winding down before bed or a light read on the beach! Reading II: I decided to order this book to learn more about dogs in general. I am so fascinated by them and this book is highly acclaimed! I can't wait to read it. Watching: This week, I saw 'American Made'... it was really good! In other news, I am totally out of shows to watch. I feel like I've watched everything. I'm thinking of starting Mad Men again... but any suggestions? I'm very much a binger. I don't watch a lot of TV, but when I do, I binge. Listening: Guys, I started a February playlist and then totally dropped the ball. I'll have to reset in March. I just haven't been loving much of anything lately! Loving: You guys know me and my obsession with skincare products. Well, my friend Sara introduced me to a new-to-me line called Ever. I ordered the blemish and spot corrector because I have a few reddish acne scars that I have been working to get rid of. It has Vitamin C in it which has been my latest skincare favorite. Vitamin C is a great way to get clearer skin over time. I've been using the product for about a month and I LOVE it! It really works. I put it on as a spot treatment at night and over this past month, I have noticed the discolorations have very clearly diminished. If you're looking for a product to get rid of sunspots, discoloration, etc., this is it. I love that it's very gentle, too! Loving II: I just designed this bag on Barrington's website and I can't wait for it to arrive! 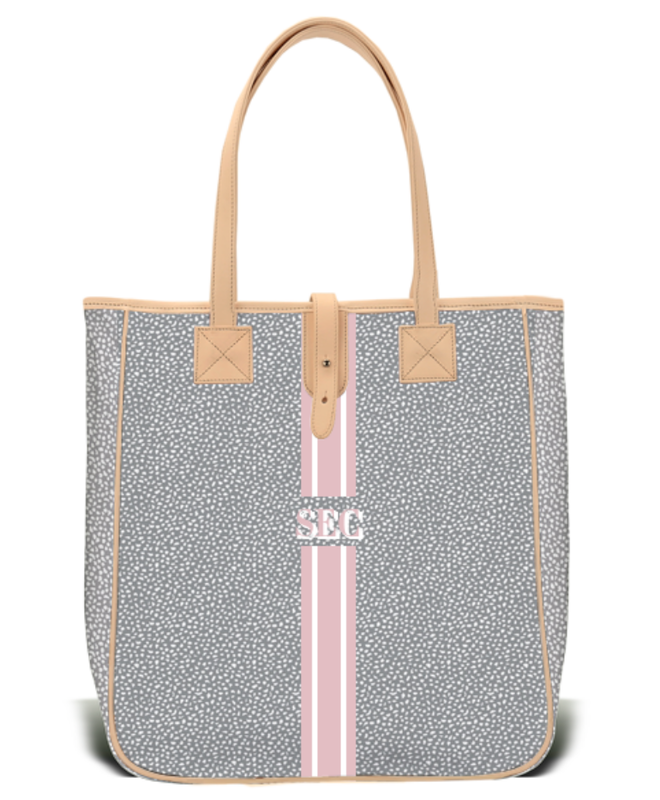 I wanted a 'Summer Wind' bag (aka a bag with Summer Wind colors) and this one just screams spring, doesn't it?! Can't wait to use it for travel. It is the absolute perfect size with allllll of the pockets! Wanting: Did you guys have any idea that Restoration Hardware has a 'teen' site, much like Pottery Barn? A lot of the pieces really are geared towards true teens, but pieces like this are something I'd absolutely love to have in my home! Wanting II: There are so many good pieces. 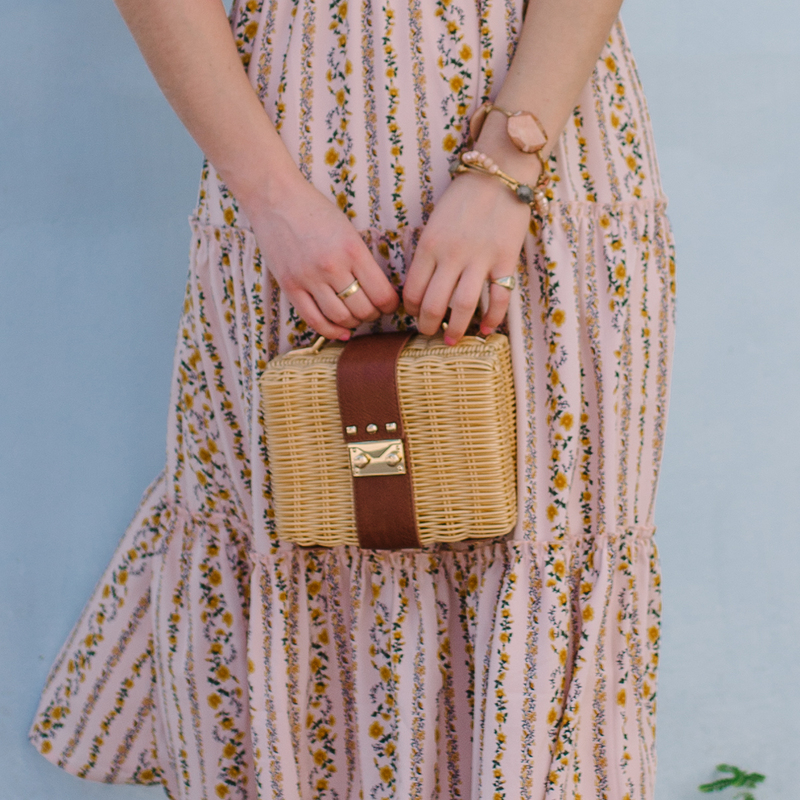 I am trying to hold off on buying anything for spring until I majorly purge my own closet, though! But how AMAZING are these shoes... OMG. Pittsburgh-ing: There is a new French restaurant in Lawrenceville, Poulet Bleu that I am just dying to try out! Has anyone checked it out yet? I made a reservation for April becuase that was literally the soonest I could even get a res! Quoting: Just believe in yourself. // See more of my favorites, here. 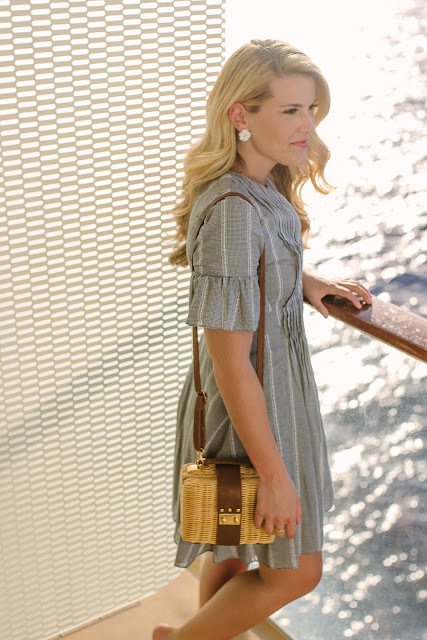 I'm going to be going through the Celebrity cruise itinerary on Friday becuase I know you have all been asking for details, but I really wanted to get this outfit up ASAP because this dress was sold out just a few days ago and now it has been restocked in all sizes. It's SUCH a gorgeous dress. 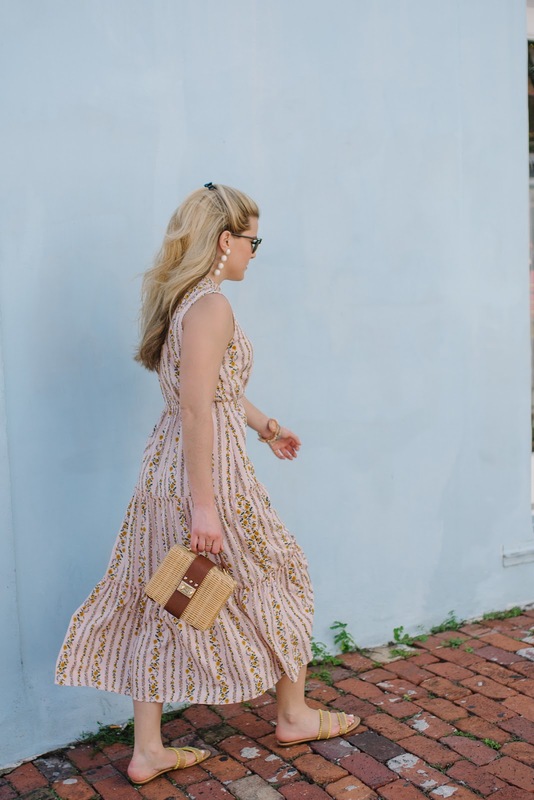 The blush color is so beautiful and the floral pattern is subtle and ladylike. It's conservative and girly, just the way I like it! It runs true to size, I'm wearing a small! I wore this in our first port, Key West. I had been there years ago on spring break (LOL with this post). So seeing it with non-college eyes gave me a new appreciation for the pastel houses and the gorgeous clear water. 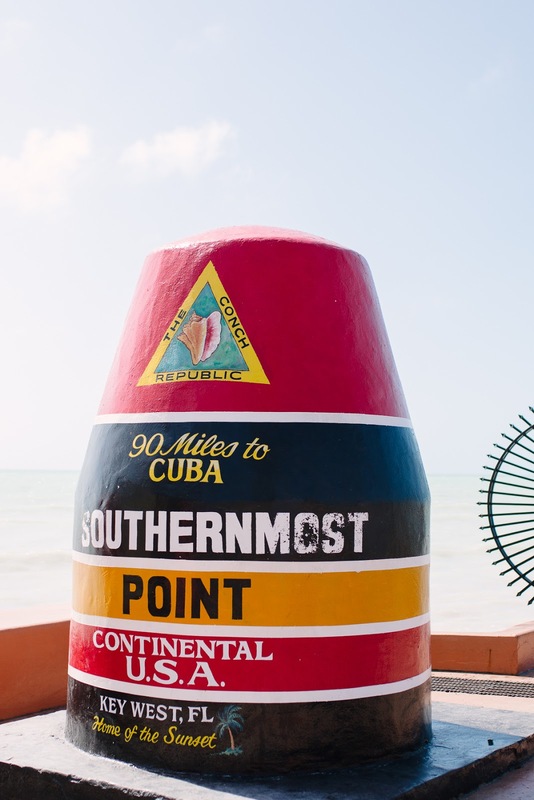 My mom and I walked from the port to the famous buoy that marks the southernmost point of the (contiguous) United States... which is 90 miles from Cuba. The walk was decently long... about 3 miles down and back so I was glad to have worn these flat sandals. I wore them a lot during the entire trip becuase they were so easy to slip on and matched pretty much everything. Overall, I was glad to have seen the buoy. We hadn't had a chance to see it when I was on spring break in college (too busy on Duval Street, ha!). However, it was crazy busy with people and a HUGE line if you wanted to get a photo in front of it. So, my mom and I just checked it off our list and we headed to have a cocktail at Fogarty's... which I wanted to see becuase it was one of our favorites to visit while I was on spring break in college! 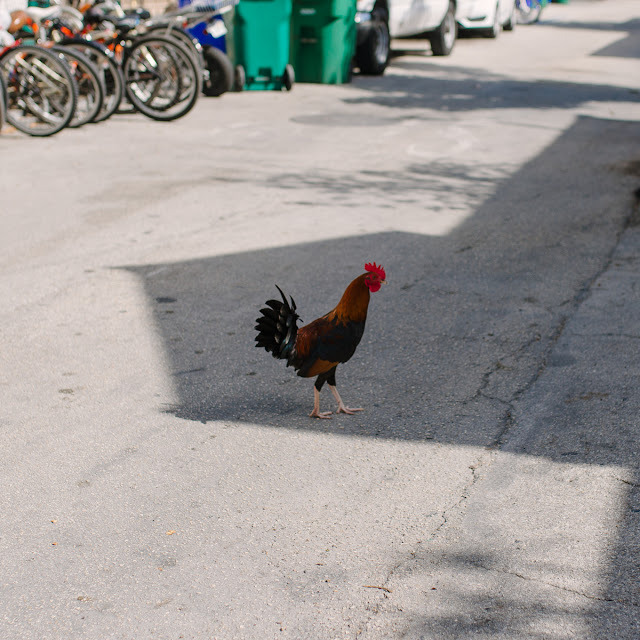 We also saw a rooster, which Key West is known for, so we checked that off our list, too!